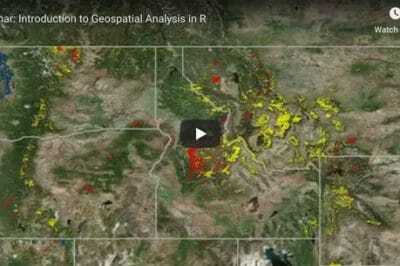 Despite the introduction of the ArcGIS platform at the 2000 ESRI International User Conference, some GIS shops either partially or exclusively still use ArcView 3.x as a means by which to do GIS. The original ArcView was introduced in the early 1990s as a graphical interface to view geographic data. ArcInfo, at the time, was a predominately command line driven application that was not user friendly, especially for the casual user of GIS. ArcView, over time and through the add functionality of extensions, developed into a program that was capable of more complex spatial analysis and mapping. The ease of use, the cheaper price, and (at least initially) the availability of the software on Windows instead of UNIX (as was the case until the mid-1990s for ArcInfo) made ArcView a popular choice for entry into the GIS world. Even though the last version of ArcView (3.3) was released over six years ago, (ArcView 3.x is now in mature support by ESRI with no retirement date released) ArcView 3.x (as it’s known to distinguish it from ArcGIS ArcView) still remains a popular program among some GIS users. The continued use of ArcView 3.x can be distilled down into four reasons. 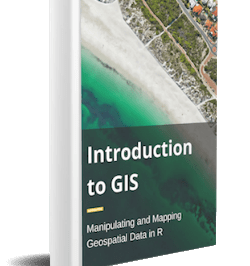 ArcGIS lacks a lot of simple, daily-use operations (like calculate ID’s, areas, add xy’s etc) off the main menu system ArcGIS’s query and Visual Basic style calculation tools annoy non-programmers – e.g. to calculate an area in ArcGIS requires VB precoding, in ArcView 3 it was [Shape].ReturnArea – easy enough to remember ArcGIS tries to force the use of geodatabases and corporate GIS approaches, which work poorly with ad-hoc GIS project work. 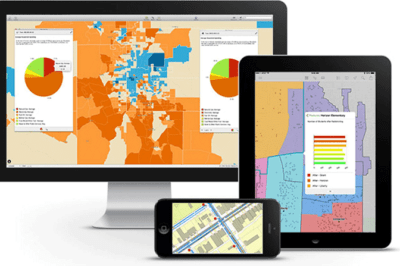 The workflow changes that ESRI chose with ArcGIS are at odds with the use to which most students and staff tend to put their GIS software – small scale digitising, simple overlays and spatial joins, and basic map/layout creation. It seems as long as ArcView 3.x can work on Windows Operating systems (it is not supported on Vista), it will be a mainstay in many GIS shops.